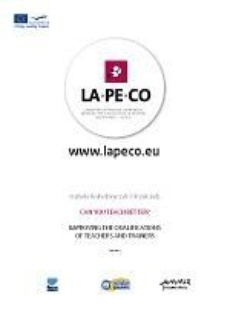 This publication is a result of intensive work of experts in a two year project: “Laboratory of personal competences —improving qualifications of teachers and trainers (LA.PE.CO)”done within Lifelong Learning Programme — Leonardo da Vinci Partnership that was realized by institutions from Spain, Belgium and Poland between 2009 and 2011. The world around us undergoes constant changes. Pupils and students leave schools, the unemployed and employees who take part in different training courses get to constantly evolving organizations, where they need solid and up-to date knowledge and where, probably most of all, they use soft skills. Soft competences, such as cooperation, communication, negotiation, coping with stress, management of emotions and conflicts, assertiveness, creativity, the ability to build a team, increase the efficiency and effectiveness of the management process. We offer you a publication prepared by trainers for trainers. It contains review of selected European solutions related to system of adult education, bank of exercises on improving social competences and examples of good and bad practices in teaching social competences. Bank of exercises which is the most important part of this publication is a result of extremely useful sharing of knowledge and experience. Besides the part on good and bad practice it is a contribution of the international team of trainers into the improvement of teachers‘ qualifications and creation of unique know-how transfer. All the materials elaborated in this project and the whole bank of exercisers can be found on the project website: www.lapeco.eu.